A Generator Synchronizing procedure is used to safely connect an A.C. generator to another running generator or to the grid. The phase angle of the incoming generator must match the phase angle of running system precisely at the moment the breaker is closed to tie the systems together. 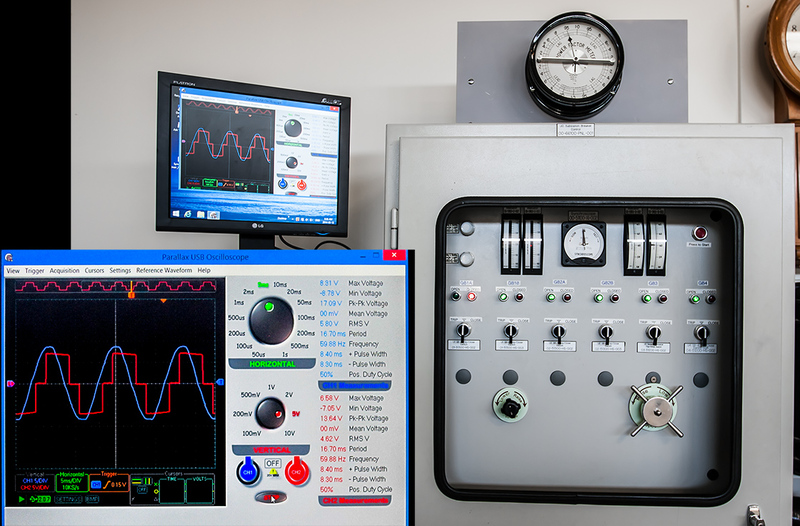 This panel has double running and incoming frequency and volt meters, a rotary analog synchroscope (also lamps) to match phase angle, an oscilloscope to visualize the process, and controls to change the incoming voltage and frequency.